A common misconception with collision repairs is that “my vehicle will never be the same again after an accident…” This is simply NOT TRUE. 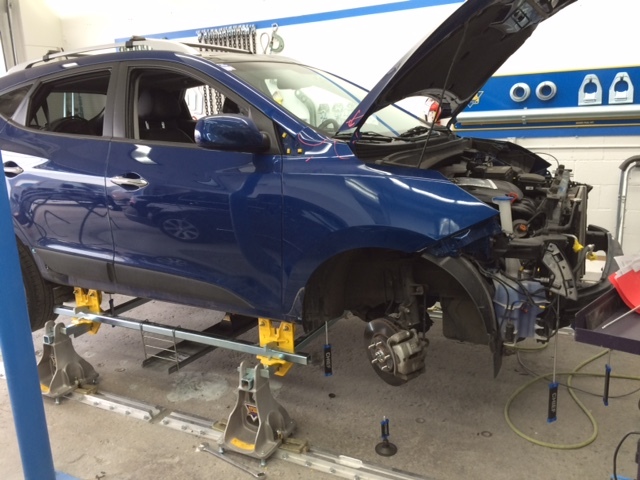 Our technicians have decades of successful experience with structural repairs and we make it our goal to ensure the vehicle you are getting back from us following repairs is as good or better than before you had the collision. In fact we will guarantee this to you in writing for the life of your vehicle. This is an area that many of our customers are unfamiliar with “is my frame bent…” is a common question we are asked. Don’t worry if it is, we have extensive equipment and experienced technicians to ensure that the structural repairs on your vehicle are done to factory specifications. To be 100% positive that your vehicle’s structure is within factory specifications we utilize our state of the art Chief Velocity 3D computerized laser measuring system, which leaves no room for error. We also complete a 4 wheel alignment following any structural repairs, major or minor. We can replace any panel on your vehicle and match the colour and finish to equal or better quality than factory standards. 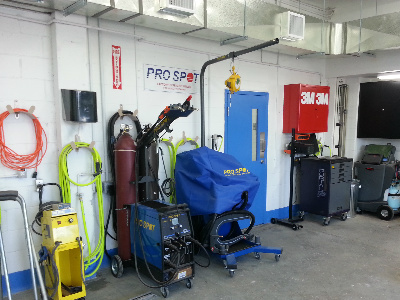 Our technicians have all the tools necessary to replace bolt-on or weld-on panels. We’ve seen it all, no dent is too big! There are many common misconceptions about the front and rear bumpers of your vehicle. The majority of vehicles on the road have plastic/rubber bumper covers. This is the painted area that you see. The actual structural impact re-enforcement is a steel or aluminum “rebar” that is mounted behind the pretty plastic. Bumper repairs are the most common operation in an auto body shop as this is the most common area to be damaged in a collision. When a plastic bumper cover gets dented or torn there are many economical ways to safely and seamlessly repair these parts. To repair a dented plastic bumper cover the process is simple. The part is removed from the vehicle and all reflectors, lights, mouldings etc are removed from the bumper. The paint on the damaged area is then stripped off using a pneumatic sander. Then the dented area is heated up using a high powered heat gun enabling the technician to reshape the bumper to its original form. To ensure the area is completely smooth and straight a thin layer of flexible finishing putty is then applied and sanded. Once sanded the damaged area is sprayed with a high quality primer, prepped and painted. For torn bumpers we have a special 2 part adhesive which is basically liquid plastic. Once the paint on the damaged area is sanded off the 2 part adhesive is mixed using a special applicator. Once the product is applied to the torn pieces and held together it dries within minutes creating a virtually indestructible bond. To be 100 % sure that the tear is re-bonded we adhere specialized reinforcements on the inside of the bumper with the same product. The finishing process is then carried out the same as dent repair. Our technicians are certified to replace all moveable door and side glass as well as permanently attached windshields and back glasses. We replace windshields and back glasses on collision claims only please report glass only claims to your local glass shop of choice. Contact us with any enquiries regarding complete collision repairs. We would be happy to answer any questions or concerns you may have.